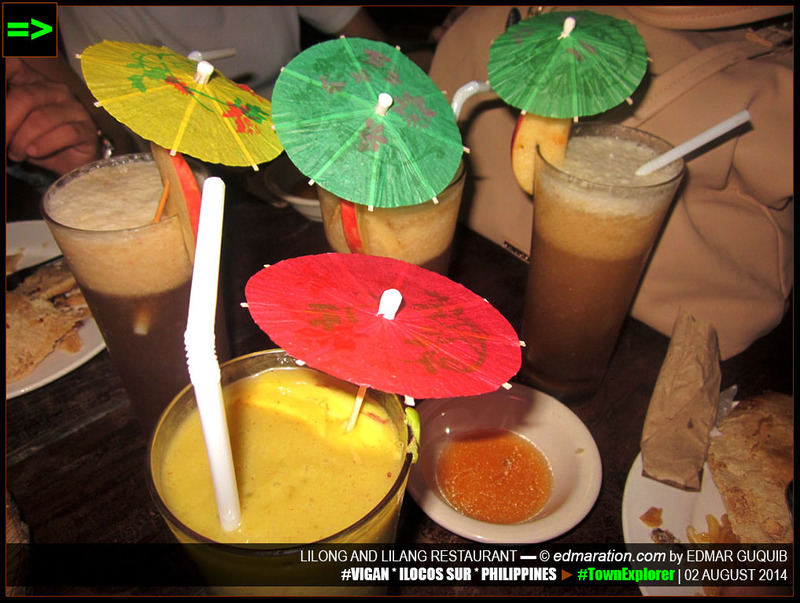 Ilocano stuff is everywhere in Lilong and Lilang restaurant. 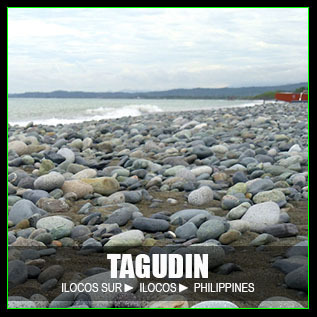 Aside from the damili and the famous Vigan terracotta tiles, pieces of the Ilocano culture are here. 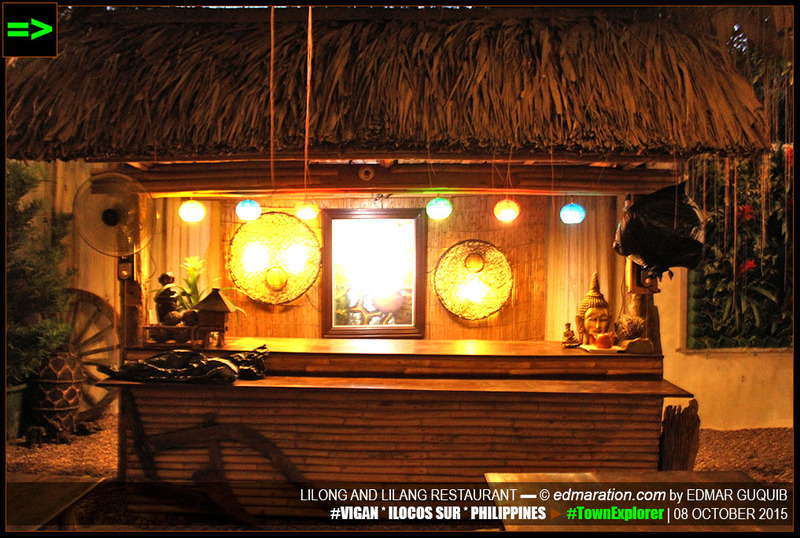 "Ilocano stuff is everywhere in Lilong and Lilang restaurant. 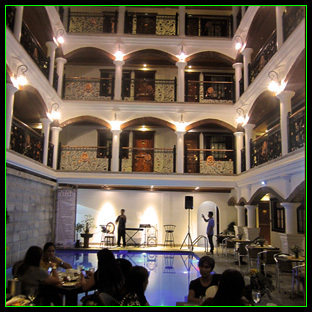 Aside from the damili and the famous Vigan terracotta tiles, pieces of the Ilocano culture are also here." 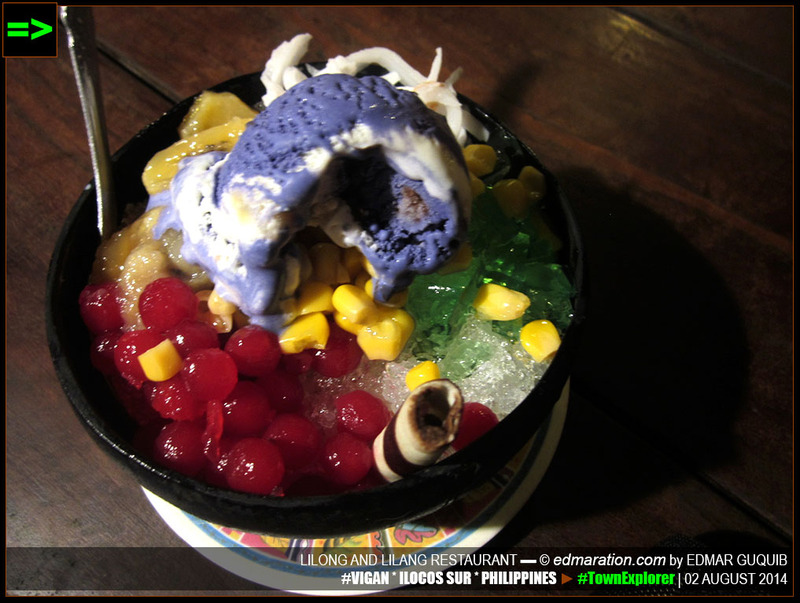 [VIGAN, ILOCOS SUR, PHILIPPINES] ▬ I would say Vigan is a culinary haven. 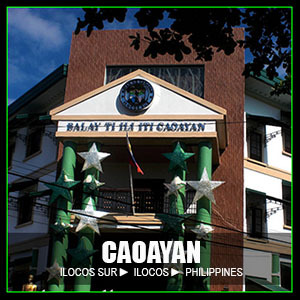 Ilocano cuisines are plenty. 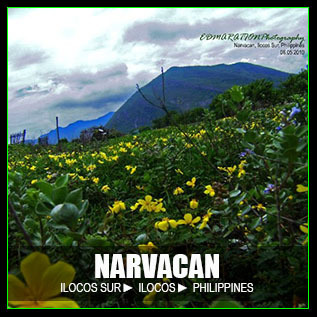 I can't understand why the Ilocano people have a lot of dishes they can call their own. 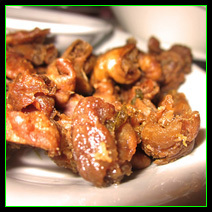 I grew up eating dinengdeng (diningding for some), bagnet, dinakdakan, miki, pipian and many more! 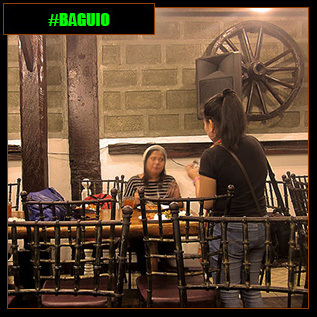 In this city, there is this restaurant that can offer an optimum dose of Ilocano dining experience with an array of Ilocano food to choose from. 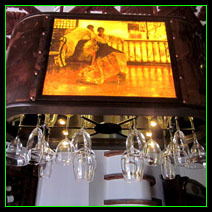 [VIGAN] ▬ THE CEILING IS DESIGNED WITH CAPIZ-MADE VIGAN WINDOWS AND A CALESA CARTWHEEL. 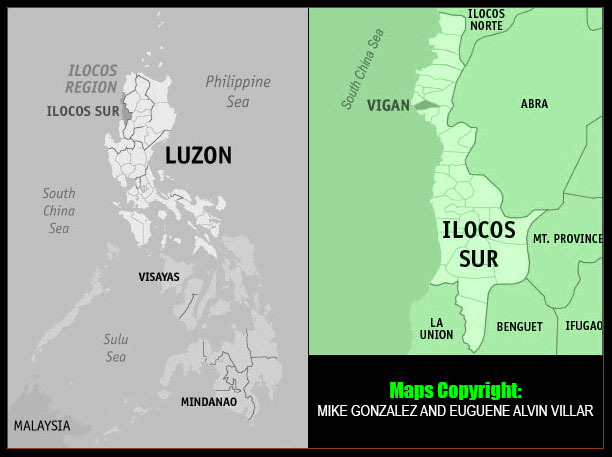 IF YOU ARE AN ILOCANO, YOU MOST likely know what lilong and lilang mean. But for the benefit of those who aren't, lilong means grandfather, or less appropriately, an old man or male elder. Lilang is the female counterpart. 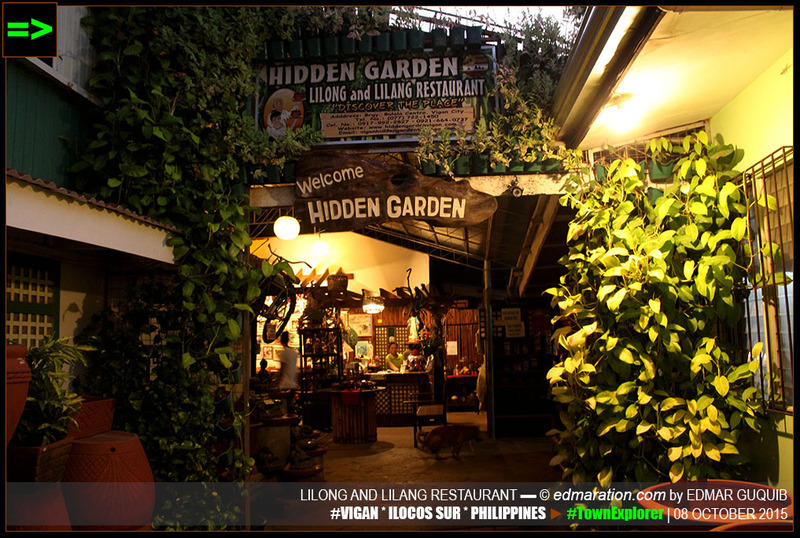 Actually, this restaurant is just a special feature of a tourist destination in Vigan called Hidden Garden where different species of exotic and popular ornamental plants are grown. 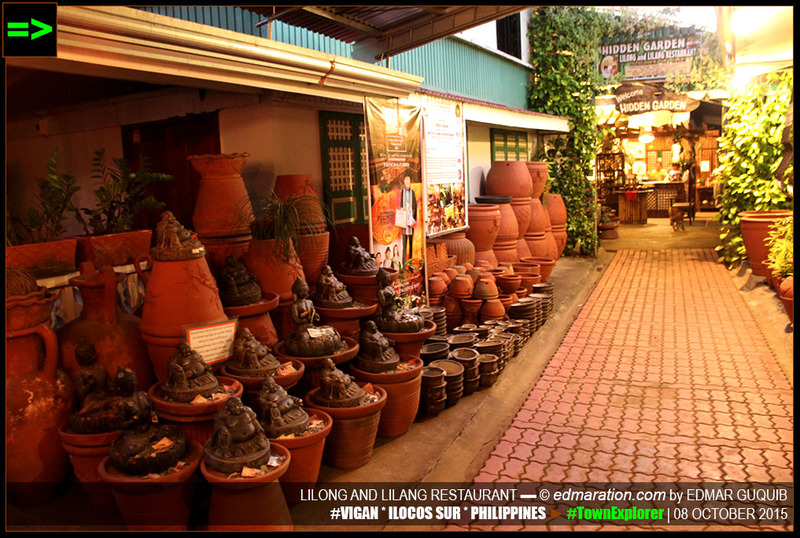 Hidden Garden features the terracotta industry of Vigan. 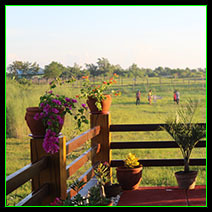 It is originally a landscaping business that has turned into a tourist destination. 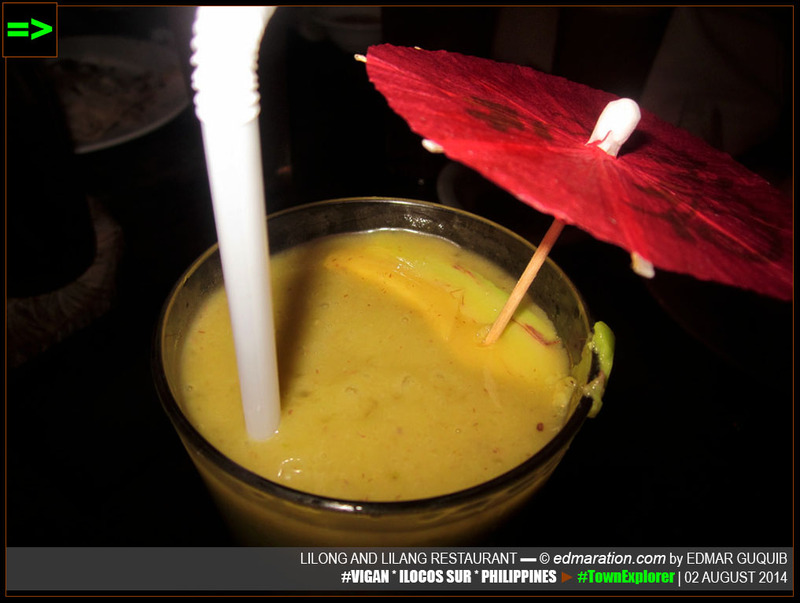 Lilong and Lilang Restaurant is another addition to the whole package. 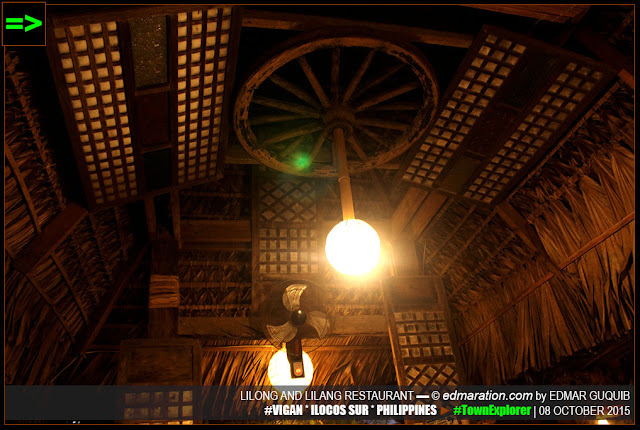 LILONG AND LILANG RESTAURANT IS LOCATED IN Barangay Bulala, a community of inherent local terracotta artists. 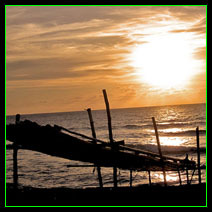 Bulala is also known as the Damili Village. Damili in Ilocano means "products made of baked clay." Bulala has a vibrant damili industry, hence the title. 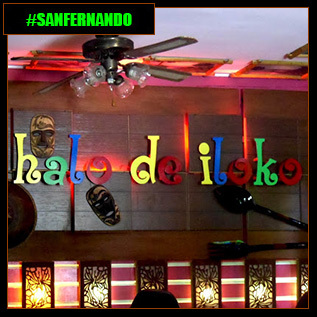 The entrance of the restaurant is a fine example of a damili-producing household. Many households in Bulala actually have this set-up. 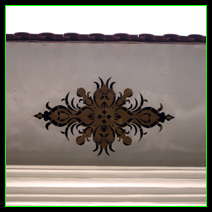 They display their products somewhere around their houses both for business and aesthetic purposes. 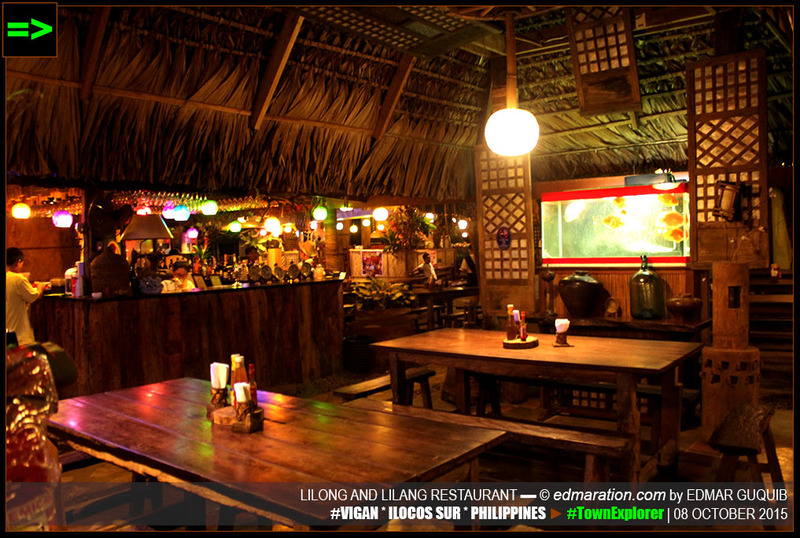 Lilong and Lilang restaurant really represents the community where it belongs. 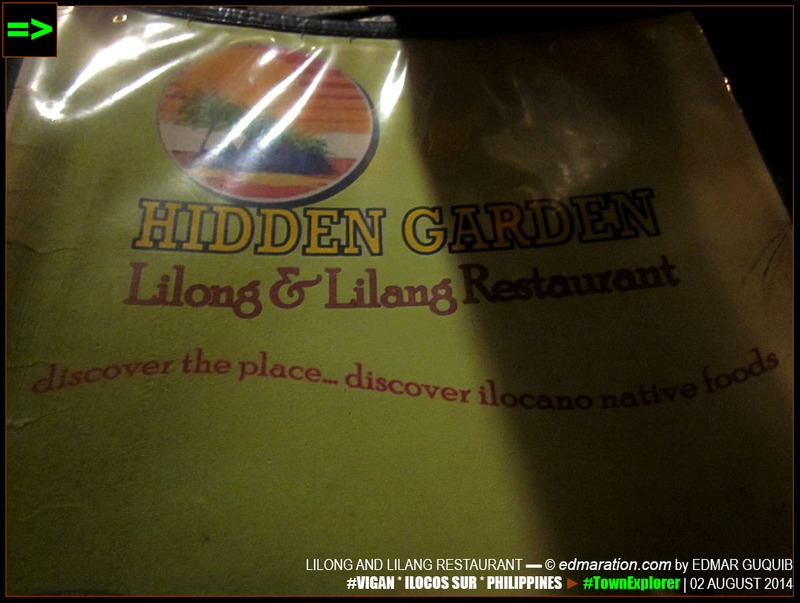 ILOCANO STUFF IS EVERYWHERE IN LILONG AND Lilang restaurant. 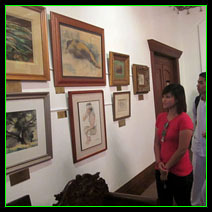 Aside from the damili and the famous Vigan terracotta tiles, pieces of the Ilocano culture are also here. 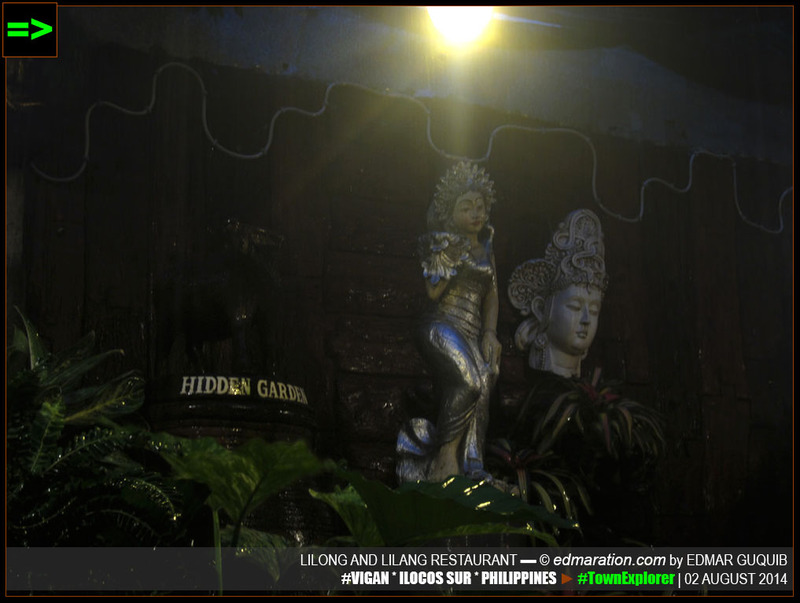 [VIGAN] ▬ BUDDHA BUSTS AND SCULPTURE ARE ALSO HERE HOWEVER, MIXING WITH ILOCANO STUFF. 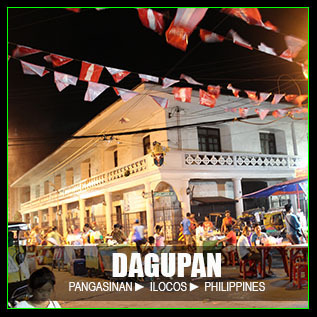 [VIGAN] ▬ CAPIZ WINDOWS AND DADAPILAN ARE DISPLAYED HERE, TRULY ILOCANO. 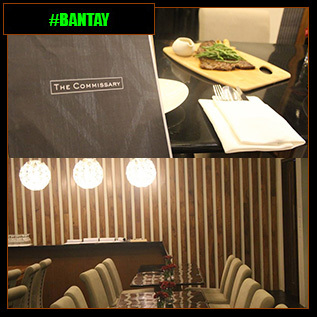 This restaurant has been featured many times on national television and several magazines. 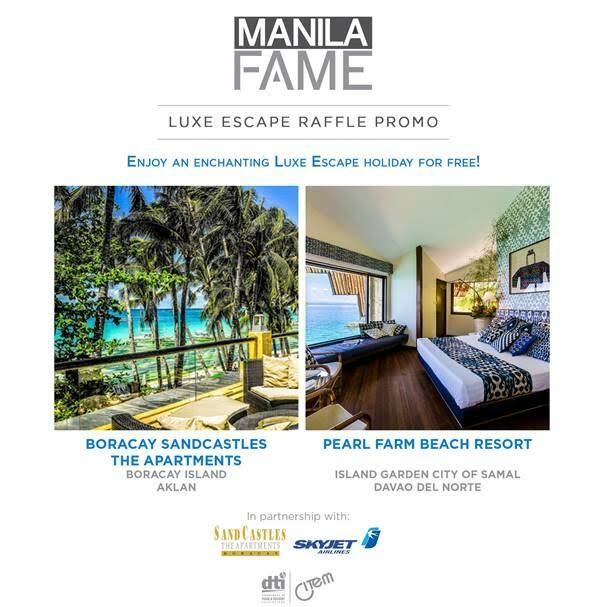 On August 28, 2015, this restaurant was chosen as the 'Best Eco-Tourism Inspired Restaurant' by the National Product Quality Excellence Award (Q Asia's Seal of Product Quality). The restaurant is located inside the Hidden Garden as I mentioned above where enormous plant species are kept and grown, hence, an eco-tourism destination. I'VE, ONE TIME, EXPERIENCED DINING IN THIS restaurant on a rainy day. The feeling is quite different. I saw the raindrops fall to the terracotta decorations and plants. The leaves turned more beautiful. The air became cooler as warm laughter with my friends dominated the moment. 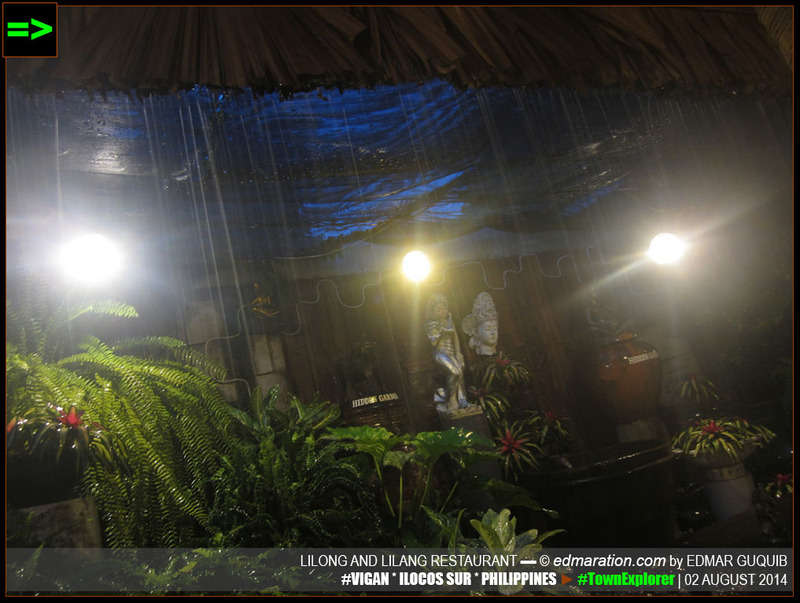 [VIGAN] ▬ THE WET LEAVES AND BUST/SCULPTURE REFLECT THE LIGHT, THUS SHINING. 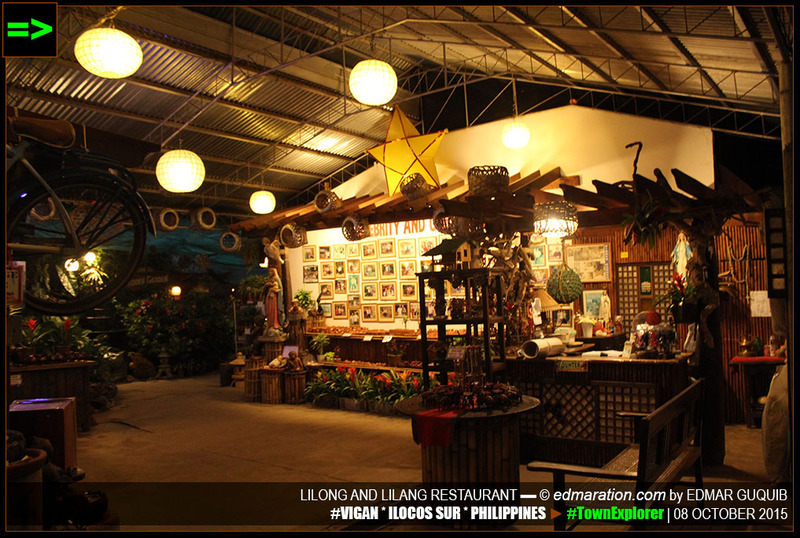 This restaurant + café claims itself as a place to discover native Ilocano food. I've been here a lot of times. 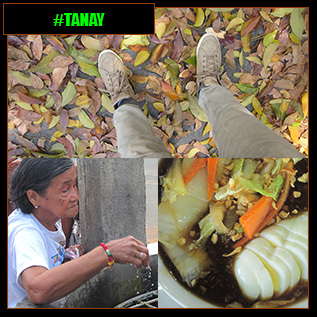 Too bad, I always fail to take a photo of some of the Ilocano dishes I've tried here. 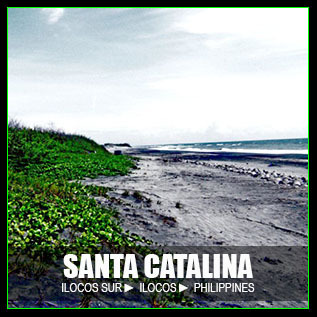 But of course, if you do not like Ilocano cuisines which I doubt, you have other options. 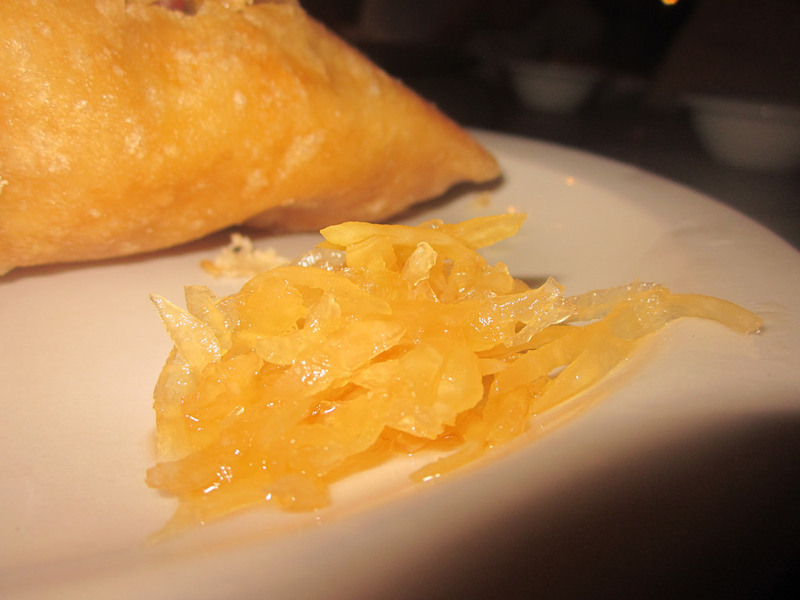 The following photos are the food I managed to dig from my files. 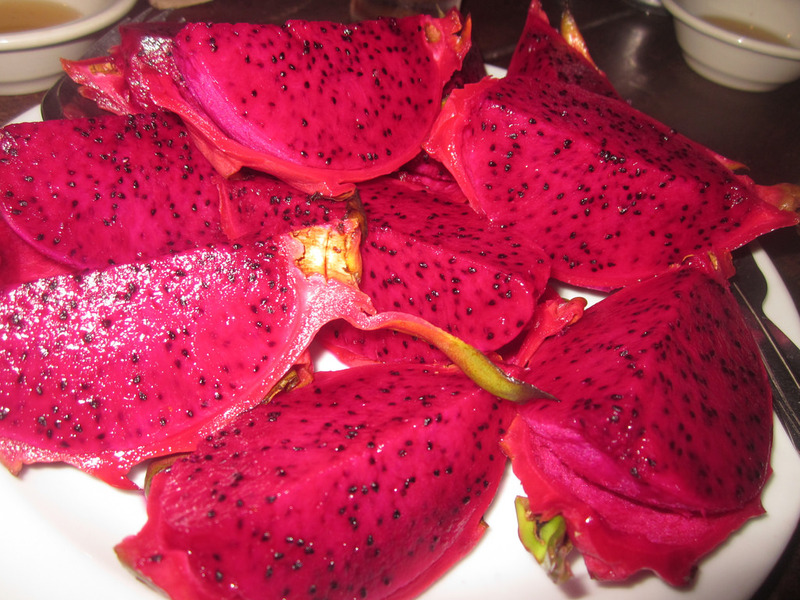 [VIGAN] ▬ DRAGON FRUIT IS PLENTY IN ILOCOS. 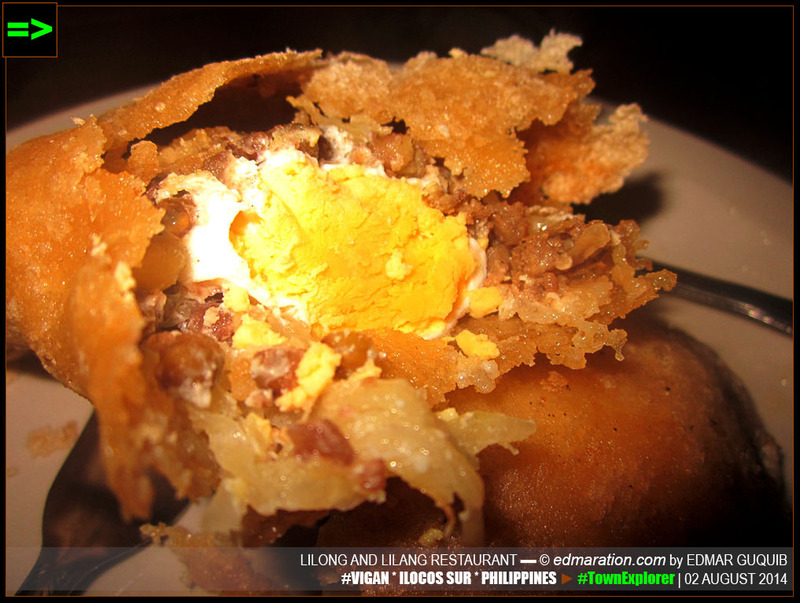 [VIGAN] ▬ EMPANADA WITH ATSARA. 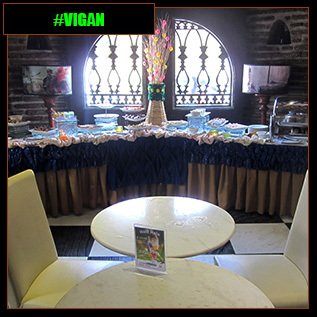 [VIGAN] ▬ JOINING THE EMPANADA ARE THESE COOLERS. 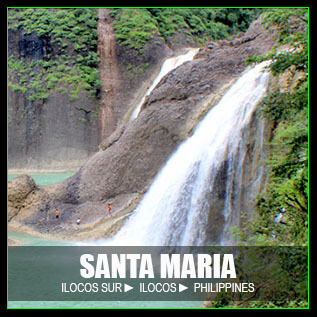 IF YOU WISH TO VISIT THIS PLACE, just ride a tricycle. From Vigan poblacion (Brgy I to IX), the fare usually costs 40-50 pesos one way for a maximum of 4-5 people. If you are alone, you still have to pay for the whole price. But if you will go the poblacion from here, fare should be per head and not per trike. So you have to pay about 10-12 pesos per head regardless if you're alone or as a group. Inset: I don't want to destroy the image of Vigan but it is no longer new anymore that Vigan's tricycle drivers are infamous for overcharging. I encourage every tourist not to choose a tricycle driver charging more than what you should pay. Sometimes, we should teach these tricycle drivers who violate the law a lesson. Choose tricycle drivers who follow the city ordinance and support them so that they will continue to become tourist-friendly, thus, reducing the notoriety of Vigan trikemen. Ignore the discourteous and overcharging drivers. 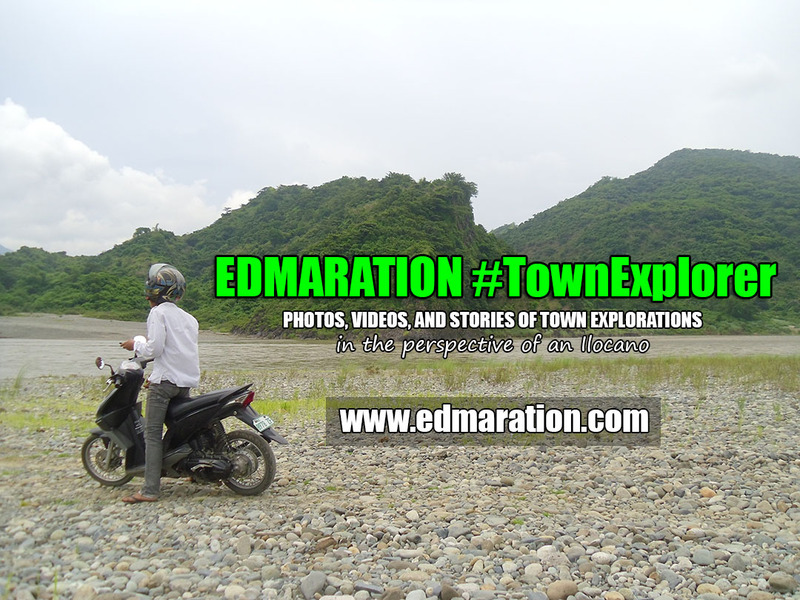 When hiring a trike, tell them you're going to Hidden Garden of Brgy Bulala and not Lilong and Lilang Restaurant. Most tricycle drivers are not familiar of the name of the restaurant. 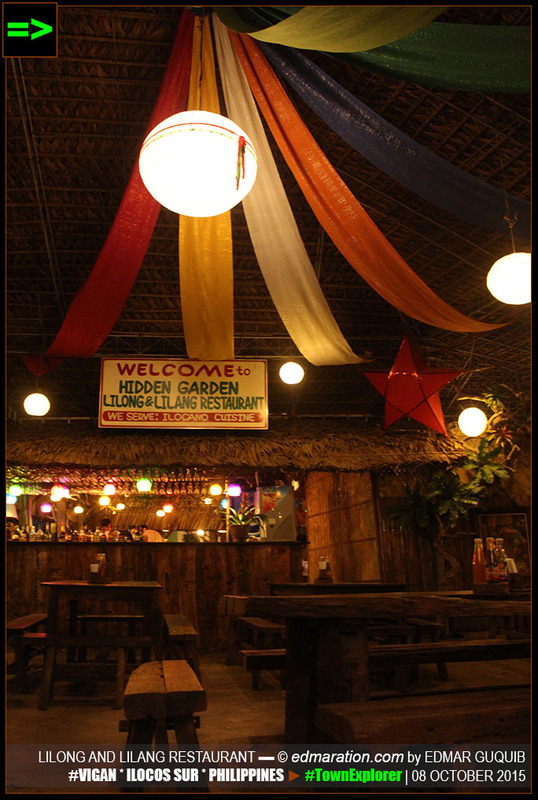 Hidden Garden is the more appropriate destination to tell since everyone is familiar of the place. This restaurant is open from 6 AM to 7 PM. 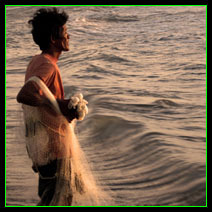 Contact them at (077) 722-1450. ▬ end. This post is filed under the category "Restaurants." This category is a collection of stories about all the restaurants I've seen, tried or experienced. 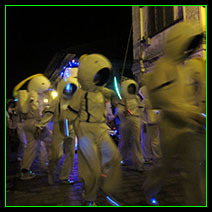 To see more posts from this category, scroll down and look for the "More Posts from this Category" blog section below.